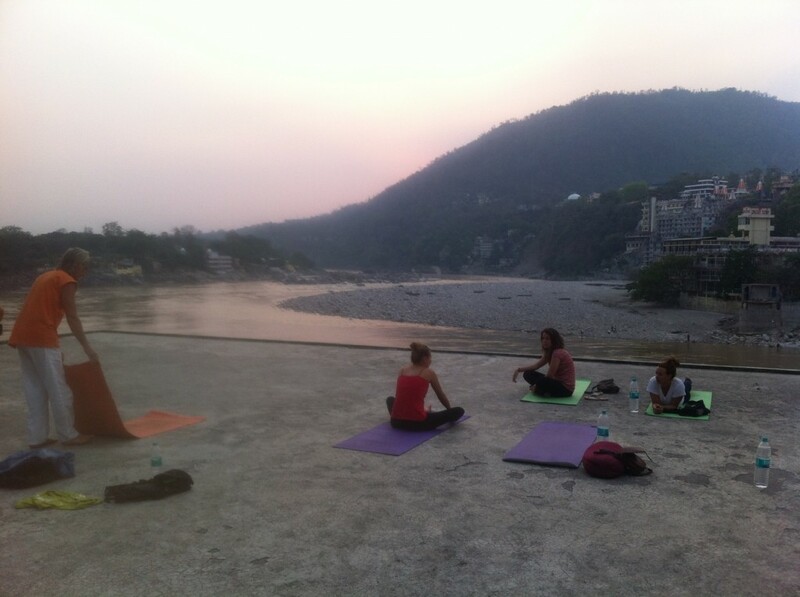 After a challenging two and a half hour yoga class one morning in Rishikesh, I went up to the teacher to pay and thank him. He asked me where I was from. ‘England’, I said. ‘Welcome home’, he smiled. 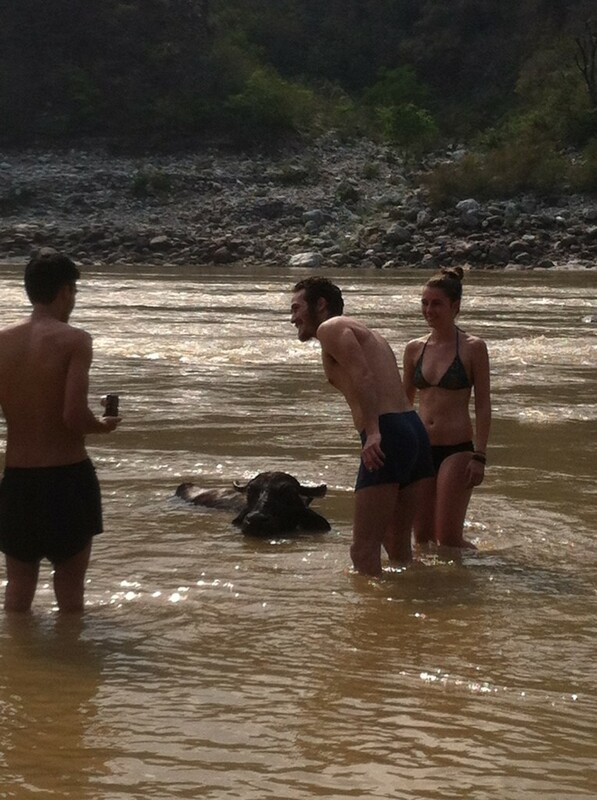 That somewhat sums up how I felt for the week I was in Rishikesh. After a month in Thailand feeling a little unsettled, I finally felt at home – completely relaxed, at peace and in love with my surroundings. 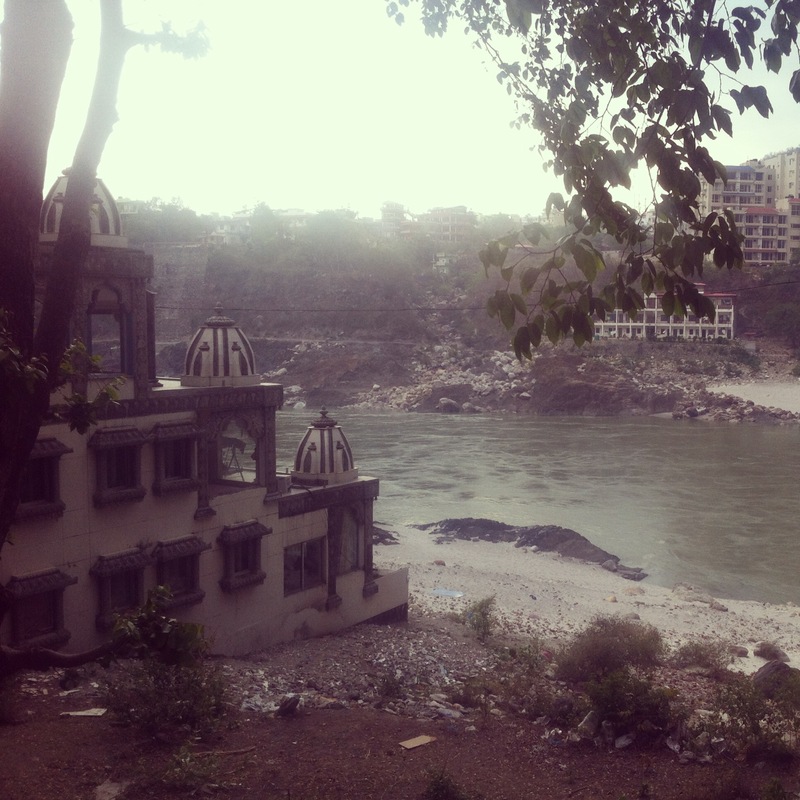 I took a break from blogging and internet-ing in general for a few days, just occasionally writing some thoughts on my iPhone or in my journal, and I lost myself in this tranquil and beautiful sacred town situated on the holy river Ganges. 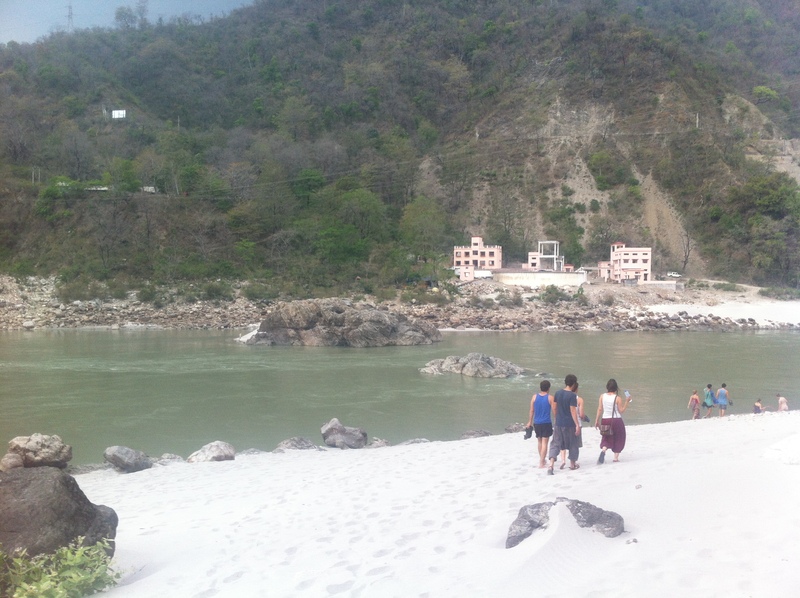 Below is what I wrote one afternoon, while sitting in one of Rishikesh’s many chill-out cafes by the Ganga, surrounded, as I tend to be when I travel for some reason, by a group of Israeli friends. “Leaving Thailand was a great decision. 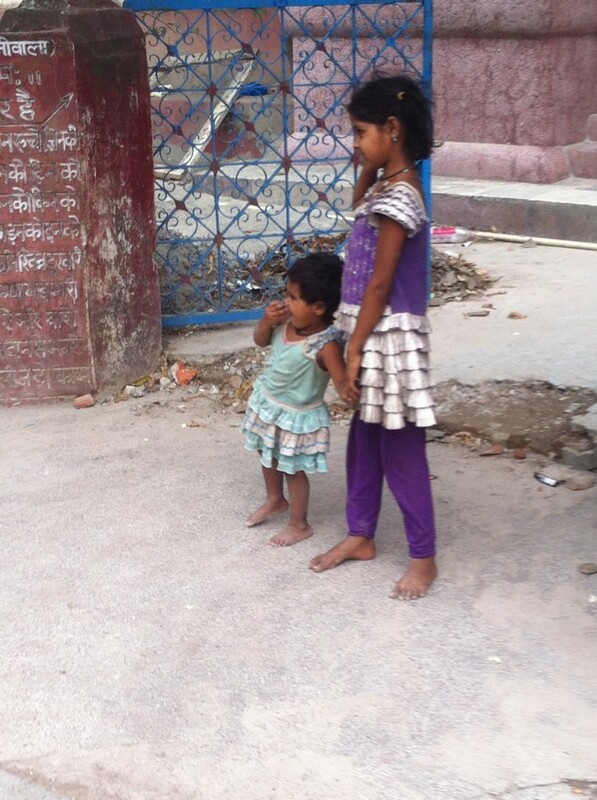 It feels amazing to be back in India. I wish I could explain what this country does to me but the words are hard to find. This is a conversation I’ve had with many other travellers here: how can we explain India to people? I want to write a book about it… I see so many fascinating things on a daily, hourly even, basis; the material is priceless. But how to put it into words? 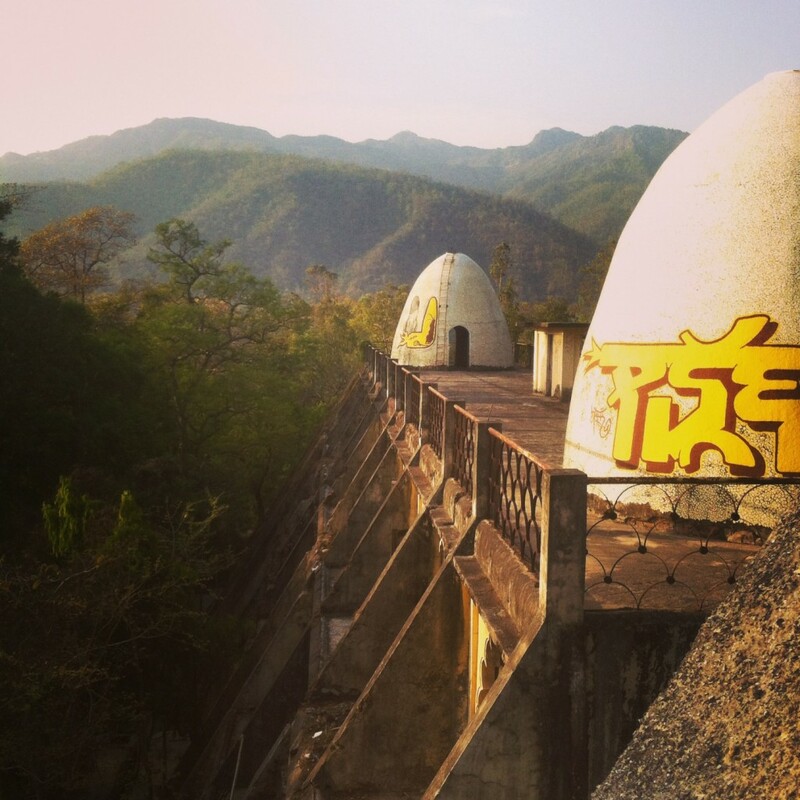 I think that really, India’s magic is about a feeling it gives you (or me at least). It’s about its energy… So I suppose you cannot truly understand that until you see it, until you feel it for yourself. The past five days have flown by and yet I’ve done almost nothing. Rishikesh seems to be the ultimate place to ‘just be’. 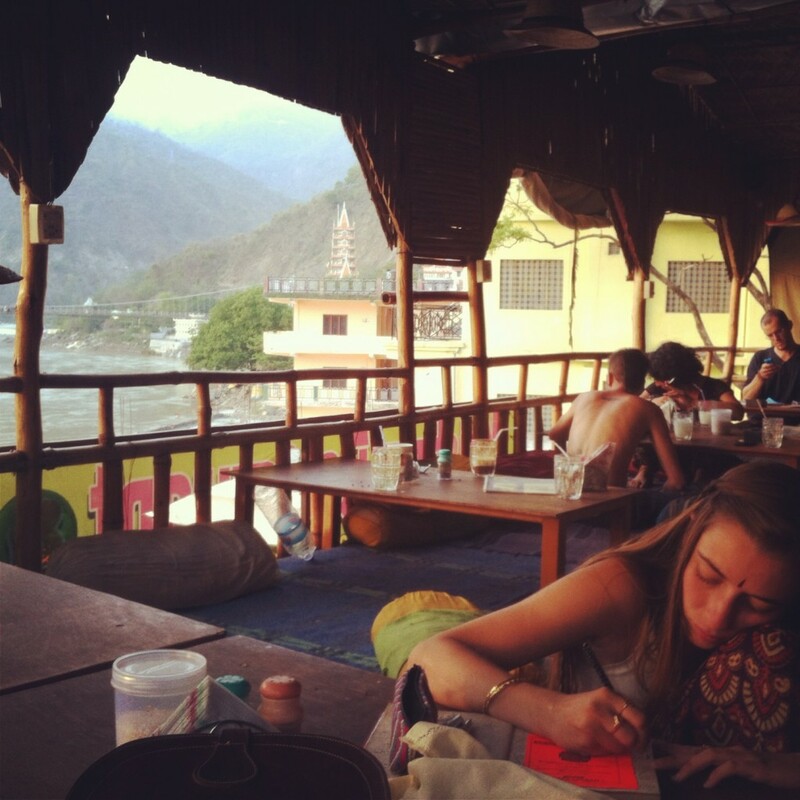 Aside from morning yoga classes, I haven’t felt the need to do more than amble from our amazingly comfortable and chilled guest house to one of the many riverside cafés facing the Ganga, where we sit on the floor for hours eating, drinking, smoking, chatting, singing, or just doing nothing. (A friend put it nicely when she said ‘the only thing I have to think about here is “am I hungry?” Or “do I need to poop?”‘) And I have no anxiety to do more. I don’t feel I am missing anything. I feel nourished by this place – by the beautiful views of the sacred Ganges; the gentle yet chaotic pace of life in the streets, filled with cows, bikes and people; the music playing wherever you go, not too loud, but enough to make you smile and song along; and the occasional hippy strolling down the street playing his guitar… Even the oppressive heat, flies and sewage smells don’t bother me. Everything is as it should be here. It feels familiar, although its beauty almost took my breath away when I first saw it. Perhaps as its tranquility brings to me an inner peace. Below are a few pictures which show a little of the magic of Rishikesh and my experiences there. Perhaps photos can do more to capture its energy than words alone. But really, I recommend that you go and experience it for yourself. This entry was posted in Me, Travel and tagged india, rishikesh, travel, yoga. Bookmark the permalink. Thank you so much for this post! Reading this from London is so uplifting and inspiring. I have never been to India but what you write reminds me much of Africa and how the place fascinates me, energises me, recharges me… I need to go to India one day… Keep writing please, I feel I can almost taste the place through your words!